Apple Roasted Frenched Pork Chops – This Girl Loves to Eat! 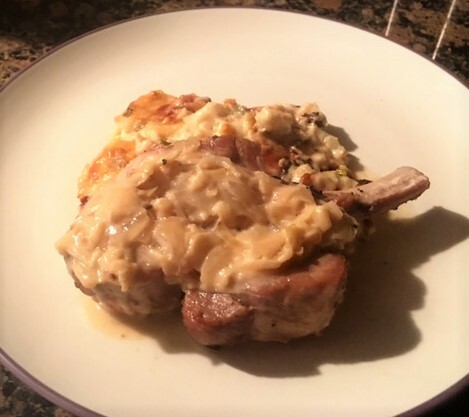 Posted on November 6, 2015 November 5, 2015 by ls1228Posted in Dinner, Gluten Free, Low Carb, Low Fat, Main Dish, Paleo Diet, RecipesTagged Apple roasted Frenched Pork Chops, Frenched Pork Chop, granny smith apple, roasted garlic cheesy cauliflower, Trader Joe's. Next Next post: Time to Break Out the Fat Pants!